Part No. INS-FM18 In Stock Fedex orders placed now will ship on April 19th. Koolance's stainless steel and brass inline flow meter provides electronic indication of real-time coolant flow rate. Uses G 1/4 BSPP threads. Wire length is approximately 28" (70cm). 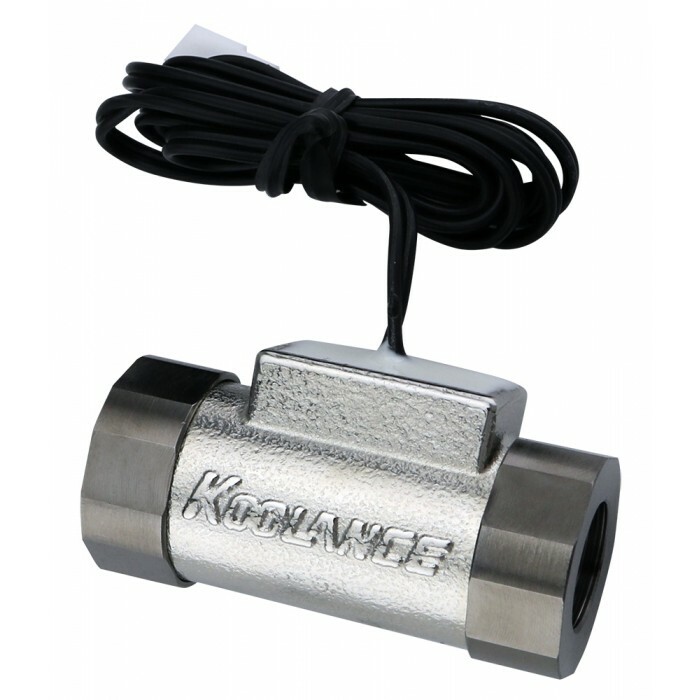 Primary materials are a stainless steel body with nickel-plated brass threads.